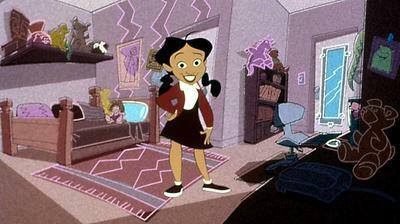 Across 52 episodes and a TV movie, The Proud Family's main protagonist, Penny Proud (voiced by Kyla Pratt), often found herself successfully navigating through the usual experiences of growing up — thanks largely to her feisty personality and the outlandish antics of her family and friends. On this episode, she hopes to reunite factured family lines in order to save her twin siblings' baptism. Warning: There are spoilers from Episode 6 of Bates Motel in this post. Monday night (March 27), viewers of the fifth and final season of A&E's Bates Motel got to see the series' most high profile guest star, Rihanna, in a much more revealing light. Rihanna's guest turn as a modern-day Marion Crane (the ill-fated hotel guest in Alfred Hitchcock's Psycho) marked the second episode in which the singer appeared.